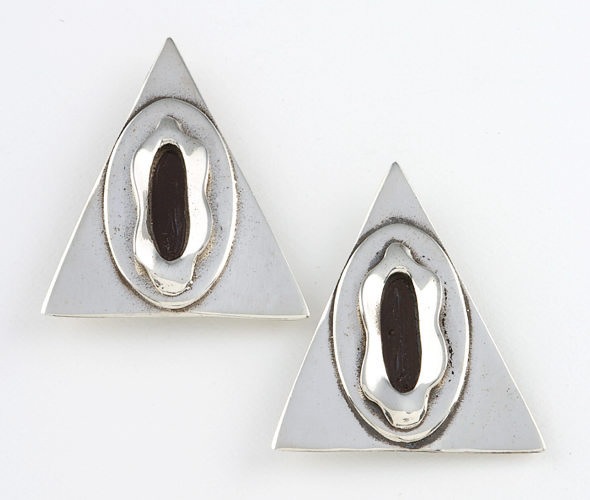 Dimensions: 1 1/4" x 1"
Description: Sterling silver post earrings. 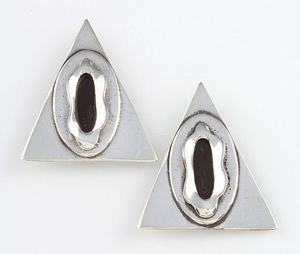 Triangles with mysterious center image accented by dark patina, symbolizing the flower of femininity. They come mounted on a card with a “reflection” printed on the back that reflects the spirit of the design. 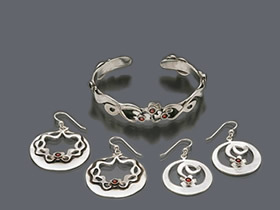 The reflection on the back of this piece says, "Flower - Seek the ideal woman in yourself and celebrate you!"